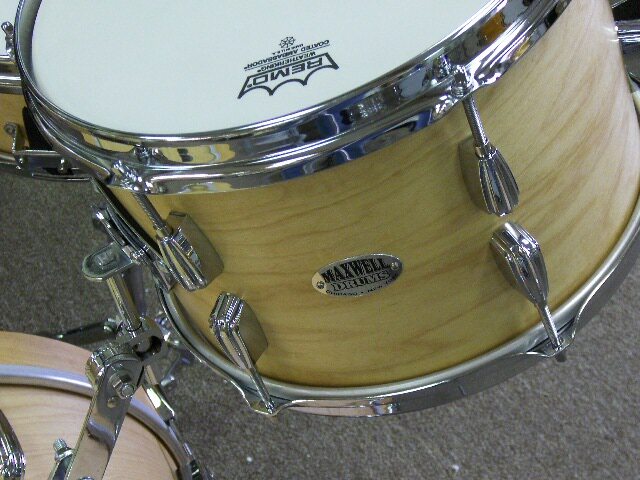 Another first from Maxwell Drums. Now, we can take your fully customized Craviotto drum set one step further by bringing you additional options for snare drum and tom rims. The Craviotto sets come standard with triple flanged chrome plated rims for the snares and toms. We now have several other options that we here at Maxwell Drums can add to the set if you prefer: Die cast rims; "Stick Saver" style triple flanged rims; New double flanged style rims. DOUBLE FLANGED RIM: This is a great rim in the style of the old 50s "stick chopper" but with a heavier upper section on the rim so that sticks will not be damaged. This rim reduces some overtones when compared to a triple flanged rim, but doesn't reduce them as much as the heavier die cast rims. This rim is available as an add-on option from Maxwell Drums for Craviotto 14" snares with 8 or 10 lugs and tom sizes 13,14,16. Call. DIE CAST RIMS: The die cast rims are much heavier and as a result they will redice the overtones more than any other rims. The standard triple flanged rim allows the most overtones, the double flanged reduces the overtones to a degree, and the die cast reduce the overtones the most. These heavy rims also produce a more focused, specific tone. Available for snare drums (8 or 10 hole) and for toms in sizes 10,12,13,14,15,16,18. Call for pricing. STICK SAVER STYLE RIM: The "stick saver" style is a triple flanged rim with the top flange rolled to the inside of the head rather than away from the head as on the standard triple flanged rims. This rim provides the same degree of overtones as the standard triple flanged rim, but with the top flange rolled toward the inside of the drum it makes rim shots easier and it also provides a different, more subtle appearance to the rim. 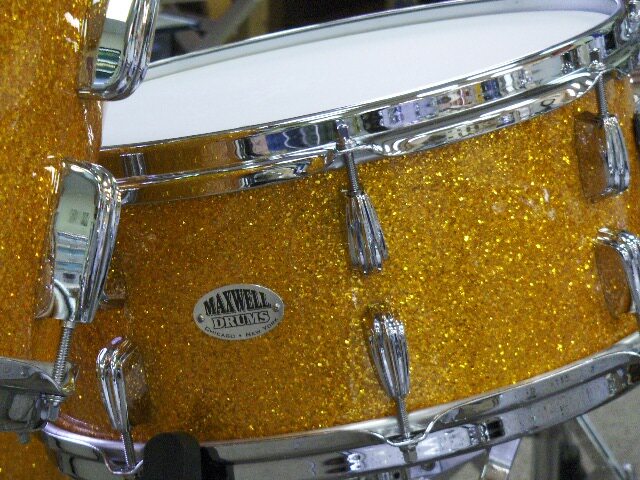 This is the style that Slingerland used for decades. 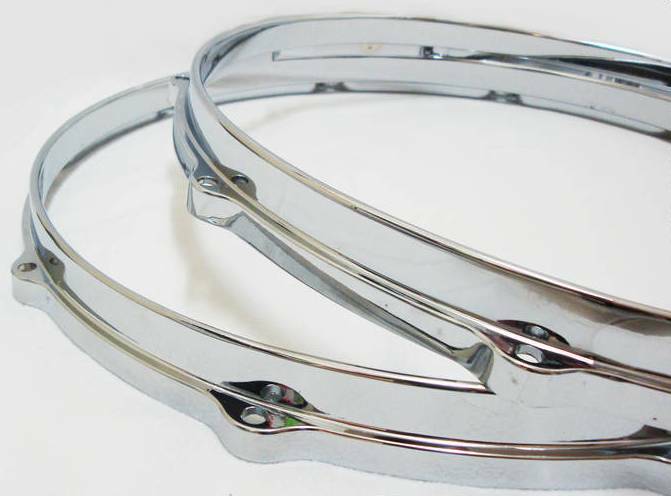 These are available for snares drums in 13 and 14 in sizes and form toms in sizes 10,12,13,14,16,18. Call for prices.